Files with the Msg and Eml extension are self-contained email message files. They are usually created by email client software like Microsoft Outlook when someone wants to forward a complete copy of an email message to another person. 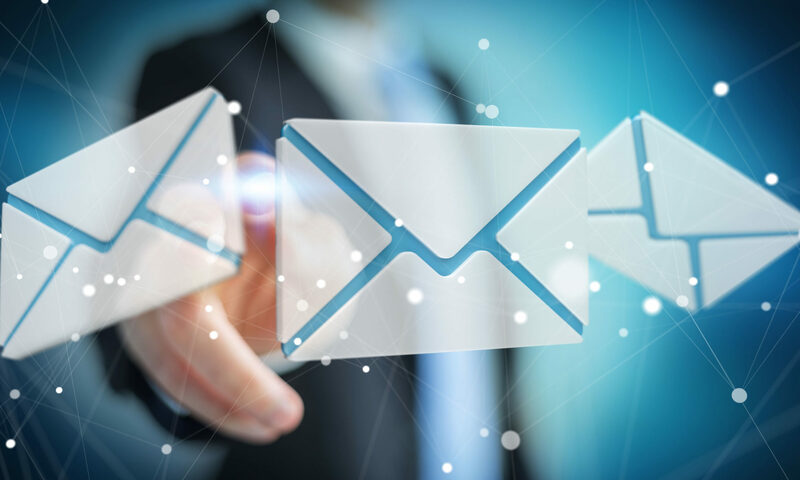 Each msg or eml file contains a complete email message, including internet header information such as the To/From/Sent data, and file attachments. Sometimes they are created for email archiving or during a legal discovery process. PstViewer Pro lets you display Outlook .msg files formatted as a rich text, html or text. You can search a directory of msg or eml files, discover the files that are important to you, and then view them, access file attachments, print, or convert them to pdf and other formats, including text, mht, html, and image files such as .gif, .tif, .png, .bmp. With Pst Viewer Pro, you can reply to emails through the default email client app on your computer. Pst Viewer Pro supports Reply, Reply All, or Forward email with file attachments. attached to it. Pst Viewer Pro gives quick access to file attachments. You can simply click on the attachments to open them in their native application. You can right click on file attachments and save them to a folder on your computer hard drive, or you can drag and drop file attachments from Pst Viewer Pro to your desktop. What if you have thousands of msg or eml files and you want to extract all file attachments? Pst Viewer Pro makes this task an easy one. First, select all of your emails in your mail-list (ctrol-A will select all emails). Next choose “Only Attachments” from the email export drop down list. Finally, click the “Export” button. attachment, it will make a copy of the attachment and save itto a folder location that you specify. Pst Viewer Pro can export msg and eml files to PDF files. Whether you have one email file or thousands of them, Pst Viewer Pro can convert them into PDF files in a single bulk operation. Special features are included for handling email file attachments, which may optionally be extracted to a folder on the hard disk, converted into the PDF image, or stored as separate files within the PDF. Msg and eml files can also be bulk printed using Pst Viewer Pro. A convenience of using Pst Viewer Pro is that the presence of Microsoft Outlook is not required for Pst Viewer Pro to function. It is able to function independently of Outlook. Pst Viewer Pro has features that administrators appreciate. It can be deployed conveniently from a .msi file. Silent installation mode is available. A host of command line switches give administrators the ability to customize the Pst Viewer Pro GUI, removing unnecessary features. Registration can also be deployed through the command line. A registration-free version is available for enterprise purchases. 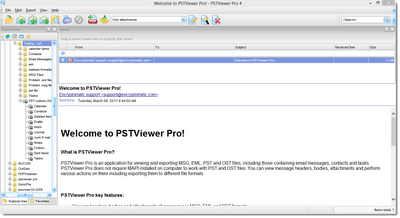 Pst Viewer Pro can function from a batch file, making it ideal for email processing. Pst Viewer Pro works with Microsoft Windows 10/8/7, or Windows Server 2012 or later. It can read any Outlook msg file, and any RFC-822 standards compliant eml file. In addition to msg and eml files, it can also open Microsoft Outlook .pst and .ost files, which can be very large database files containing thousands of email messages. 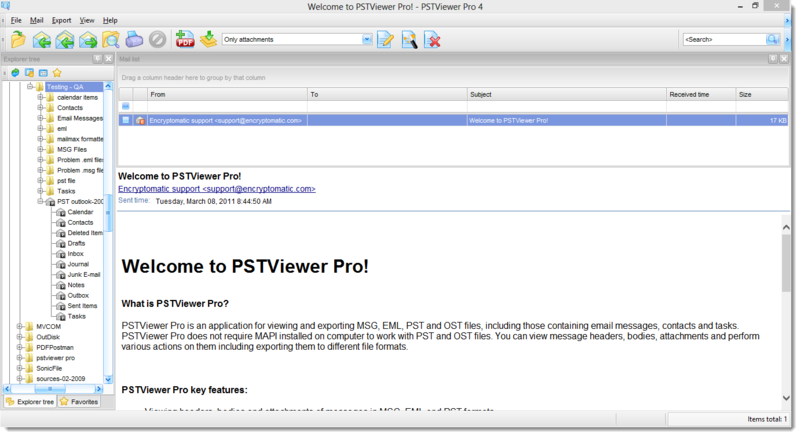 PstViewer Pro is a multi-function email viewer capable of rendering and managing your .msg, .eml, .pst, .ost and even .mht files. A 15 day free trial of Pst Viewer Pro can be downloaded, followed by a 30 day money back guarantee.